Not all heroes wear capes, although the man they call the “Golden Gate Guardian” did put on a uniform before saving hundreds of people from death by suicide in San Francisco. 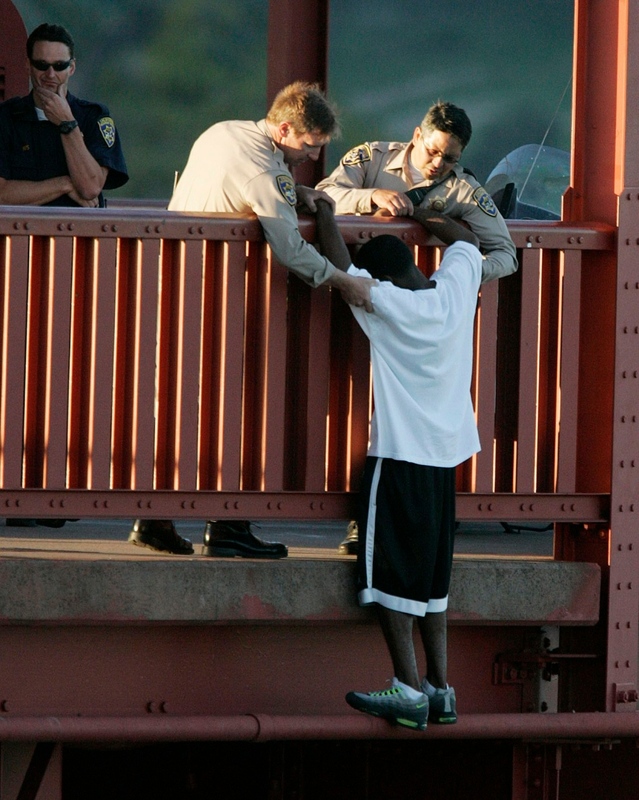 Former California Highway Patrol officer Kevin Briggs says he talked more than 200 people out of killing themselves on the Golden Gate Bridge, losing only two individuals to suicide during 23 years of patrolling San Francisco’s most iconic – and tragic – landmark. Briggs retired from the CHP in 2013, and has since become an advocate for suicide prevention, after confronting the issue on a monthly basis. Briggs says he essentially stumbled into the role of part-time suicide counsellor, after he was assigned to the Golden Gate Bridge beat in 1990. “I had no training before I went out there – it was just a beat I was working,” he told CTV’s Your Morning on Monday. More than 1,500 people have jumped to their deaths from the bridge since it was built in 1937, with approximately 30 or more doing so every year for the past decade, according to the Bridge Rail Foundation. Briggs received his first call for a suspected suicide attempt in 1990s, a short time after he was assigned to patrol the Golden Gate Bridge. He admits he didn’t know what the woman was doing when he came upon her standing on a narrow beam on the other side of the bridge’s guardrail. “I went into what I call ‘cop mode,’” he said. Briggs told the woman she was trespassing, and that she might fall off the bridge if she wasn’t careful. 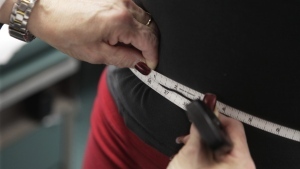 “I had no idea that this thing was going on – that she was contemplating suicide,” he said. Briggs soon discovered that he would be facing conversations like this a lot on his Golden Gate Bridge beat, so he developed a system for handling them. 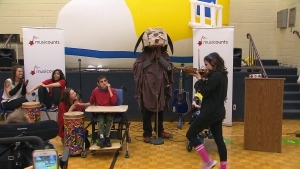 He would approach slowly, raise a hand and ask how the person in distress is feeling. Then he’d ask what their plans are for tomorrow, and if they didn’t have a plan, he’d help them make one. One of Briggs’ most high-profile rescues occurred in 2005, when he spent approximately 90 minutes talking to 22-year-old Kevin Berthia. 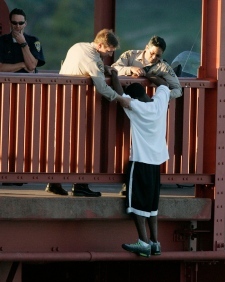 Berthia had already climbed over the edge when Briggs was called to the scene, and Berthia attempted to jump when he saw the CHP officer approach. But Briggs says Berthia managed to catch himself on a “little bitty pipe,” and hung on while Briggs attempted to engage him in conversation. “I introduced myself, I raised my hand and I go, ‘Hi, I’m Kevin. Is it OK if I come up and talk with you for a bit?” Briggs said. Berthia told Briggs that he was a former postal worker who had been battling depression for years, and was feeling particularly overwhelmed as a new father. A photo snapped by the San Francisco Chronicle shows the moment when Berthia took Briggs’ hand and agreed to abandon his suicide plans. Berthia has since become an advocate for suicide prevention, and has appeared at speaking engagements with Briggs to discuss the issue. Briggs says these cases show that suicide can be prevented long before somebody goes looking for a high ledge. “Why did it take him coming up to the bridge or someone going to that level to get somebody to listen?” Briggs said. Briggs says most of the people he spoke to on the bridge seemed to be suffering from mental illness, “whether it’s been diagnosed or not.” In many cases, he learned that those with mental illness had been off their medication for about a month, and had started to feel like they were a burden to their families. “And I ask them, ‘Have you talked to you family about this?’ And they say ‘No,’” he said. Lawmakers have responded to outcry over the number of suicides on the bridge by announcing plans for a US$200 million stainless-steel netting project, in an effort to save people from the lethal 67-metre (220-foot) fall to the water below. But Briggs says the root of the problem lies not in the bridge’s construction, but in mental health and suicide prevention. He says the net, which is expected to go up in 2021, will likely stop suicides off the bridge “for the most part.” However, he says there’s no guarantee that individuals contemplating suicide won’t simply find another way to do it. 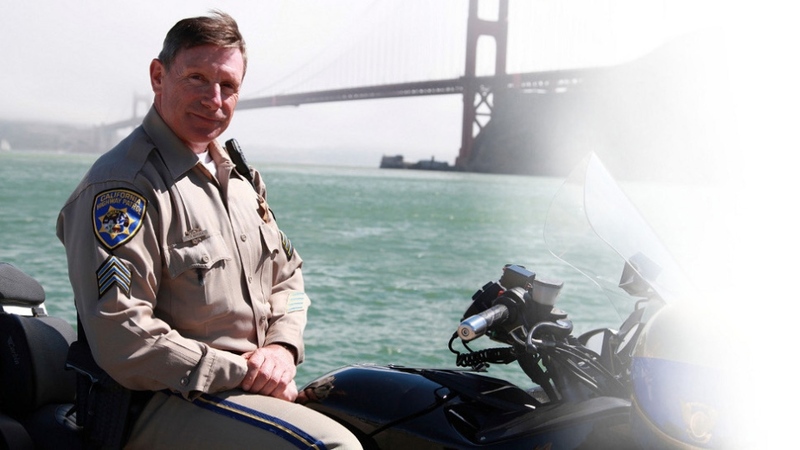 Former California Highway Patrol officer Kevin Briggs is shown in this image from his website.